Question 1: How about You? 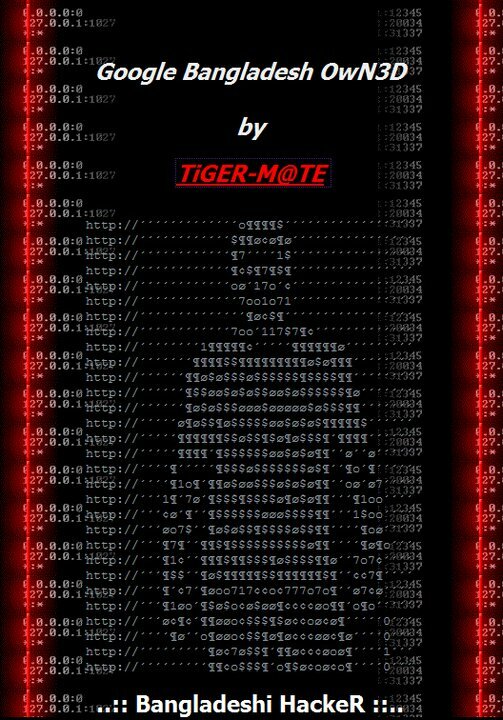 TiGER M@TE: Me, TiGER M@TE, a Bangladeshi Hacker. I started work in 2007 and I work alone, I have no Team and no Group. Question 2: Do you Hacked Google on 8 January 2011 and why? 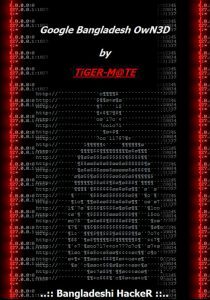 TiGER M@TE: Not only I Hacked Google, but also Hacked many Local Domain of Yahoo, Avast Antivirus, Microsoft, Bing, Kaspersky Antivirus and Nokia. Question 3: How You Hacked Google? Please Mention the Method because a large number of Hacker wants to know this. TiGER M@TE: Well. It’s a Domain Name Server (DNS) Hijack only, not DNS Poison. Question 4: Was there had any damaged files to backup any data from Google? TiGER M@TE: I have already explained that, it’s a DNS Hijack. So, do not require any damaged file to actual server for those Websites. Question 5: Are you sure that you will be Safe after this Hack and how? TiGER M@TE: It’s fully Depends on Bangladesh Telecommunication Company Limited. I don’t give a damn about mark out thing. Question 6: What Else big hacks you Do without those? TiGER M@TE: About my big hacks I can tell that all of my Hacks are big. But I’m a man who Hacked Airtel, Warid and American Express Website. Question 6: Do you have any message to your fans and follower? TiGER M@TE: Always I can tell to my Fans and Follower, try something new with your own credit and try to write your own code. That will help you remember by nation and a selected place keep fixed for you. Question 7: Do you have any Suggestion about Hacking? TiGER M@TE: Let, Hacking is all about the games of Knowledge and skills. Everybody should need to gain before doing this.